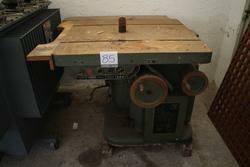 Bankruptcy asset sales of used spindle moulders. Make your bid! If you have a woodworking business and are looking for machinery which allows you to cut or chipboard wood panels, you will surely need to buy spindle moulders or wooden cutters. Used spindle moulders on Industrial Discount are a safe and cost-effective investment for all companies that want to invest in the purchase of new machinery but don't have too much financial resources available. All the items for sale on our website come from bankruptcy procedures; this results in a price much lower than what can be obtained for the sale in the normal market. Online auctions are time and cost-saving for you: after registering on the website, you can do your offer directly online. In this way, you avoid traveling to reach the auction spot, and you can bid from the comfort of your home or office. Moreover, if you want to engage in other activities, you don't need to quit the auction: simply set up the Proxy Bid, our automatic raise system which will raise your bids on your behalf, according to the maximum price you set. Don't miss the best savings opportunities, buy a second hand spindle moulder for your woodworking business on Industrial Discount! You can track sales in real time and check the relaunches of other auction participants directly through the Watchlist feature in your account. Additionally, you can monitor the expiration time and bid accordingly. To participate, sign up for free to the web portal and follow the instructions to activate your account. 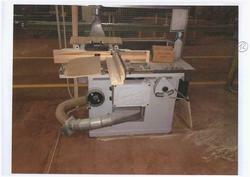 Don't wait any further, make your best offer for the cheapest used spindle moulder on Industrial Discount! 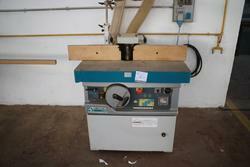 Do you want to stay updated about the upcoming auctions of used spindle moulder? Subscribe to our newsletter! You will receive a weekly email showing new items for sale.